Pat's Pizza has fifteen locations through out the state of Maine. Each location is dedicated to maintaining and exceeding the high standards C.D. "Pat" Farnsworth set in 1931. See the map below to find the most convenient location for you. C.D. 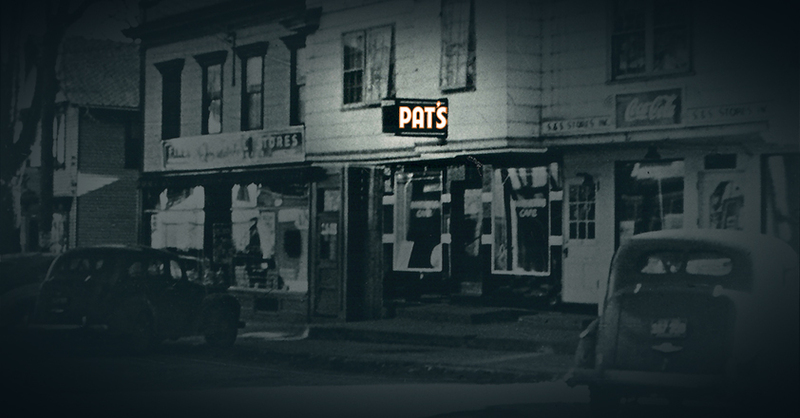 "Pat" Farnsworth opened Farnsworth's Cafe in Orono, Maine in July 1931. Pat's dream was backed by $175.00, long hours and hard work. 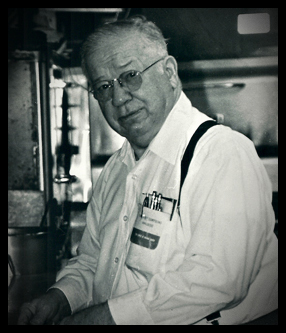 Because of his efforts, Pat saw the cafe, which originally sold ice cream and confections, become a full service restaurant. In 1953 Pat added pizza to his menu. The fresh dough pizza, topped with a special sauce developed by Pat and his wife Fran, it was an instant success. Pat's change in the menu transformed Farnsworth Cafe into Pat's Pizza. Over the years Pat's Pizza has become a favorite of University of Maine students. In fact, it has been said that an education at the University is not complete without a Pat's Pizza. Pat Farnsworth passed away on February 3, 2003 at the age of 90. His work ethic and philosophies live on in each location. Pat's Pizza is located in Orono, Newport, Augusta, Auburn,Yarmouth, Bar Harbor, Scarborough, North Windham, Ellsworth, Lincoln, Hampden, Bethel, Presque Isle, Sanford, Old Port Portland and our newest location in Machias. All of Pat's Pizza Restaurants offer friendly, casual and affordable dining for the entire family.